Propane is one of the safest and most versatile ways to power your home – but like any source of home energy, a certain amount of care is needed if you own any appliance that burns propane indoors. Know how to detect a propane leak, and how to respond if you have one. Propane smells like rotten eggs; learn how to identify the smell, and teach your family members what to do if they detect the odor (see instructions below). Some people may have difficulty smelling propane due to a cold, or because of their age (older people may have a less sensitive sense of smell), a medical condition, or the effects of medication, alcohol, tobacco, or drugs. On rare occasion, propane can lose its odor due to the presence of water or rust in a propane tank. For these reasons, we urge you to install propane gas detectors, which sound an alarm in the presence of a propane leak; these units should be installed in addition to carbon monoxide detectors and according to manufacturer’s instructions. Get your system professionally inspected. Before you attempt to use any of your propane appliances, your propane retailer or a qualified service technician must check your entire system to ensure that it is leak-free. Leave propane equipment installations and propane repairs to the pros – Only a qualified service technician has the training to install, inspect, service, maintain, and repair your appliances. Have your appliances and propane system inspected before the start of each heating season. or other appliance and cylinder or tank parts yourself. Doing so creates the risk of a gas leak that can result in property damage, serious injury, carbon monoxide poisoning, or death. Schedule regular, preventive propane equipment maintenance – Most propane safety issues are caused by malfunctions to equipment that come as a result of poor or inadequate maintenance. Have your propane equipment and systems professionally inspected and serviced every year. , or from a blocked venting system or chimney. High levels of CO can make you dizzy or sick; extreme cases can cause brain damage or death. For an extra measure of safety, we urge you to install CO detectors in each level of your Connecticut home (this is required in homes built in CT after 2008). Propane detectors can provide a further measure of safety (see #1 above). Keep propane in your tank – Propane runouts are not simply inconvenient, they are dangerous. 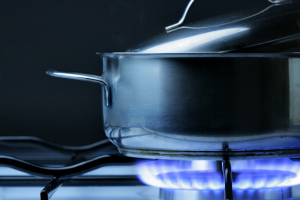 If a propane appliance valve or a gas line is left open, a leak could occur when the system is recharged with propane, and if your propane tank runs out of gas, any pilot lights on your appliances will go out – a very dangerous scenario. Remember that if you run out of propane, the law requires you to contact a professional to perform leak and pressure tests before turning your system back on. Your safety is our number one priority here at Hocon Gas! Contact us if you have any propane safety questions, or for professional preventative maintenance and service plans for your propane equipment.